Albuquerque The Turkey – Thanksgiving Song for Kids! A lot to celebrate ! Thanksgiving is almost here – and I have a new video for you today. Today also happens to be my birthday! Between those two things, I am truly full of Gratitude and I really just want to take a moment to say thank you to you. Thanks for subscribing to my email list. Thank you for sharing my music and videos with your children and for trusting me to be a part of your lives. Thanks for all of the “likes” and comments and your wonderful emails. I’m so happy I get to be a part of you and/or your children’s lives and that I get to do this thing I do. From the bottom of my heart – THANK YOU!! I am so very grateful. Now, althoughThanksgiving is full of topics to explore with little ones – family, togetherness, gratitude, harvest, meals, Turkeys — it’s often a difficult theme to lesson plan for, musically speaking. At least in the early childhood classroom! I was just reading another teacher’s Instagram post about how Thanksgiving lesson plans are hard. They are!! Musically there’s not a ton of Thanksgiving songs out there. And if you’re focusing on Thanksgiving as your theme for several weeks, it can get tricky! Even as I go back and review the past 6 years of the video show, I see that I made several videos for my song “Grateful”… but aside from that I think I only have ONE other Thanksgiving song in all of those videos!! So – I pushed myself and I found a fun and silly song that I find adorable. It is to the tune of “Clementine”, and rhymes “Turkey” and “Albuquerque” several time- which is a delight! 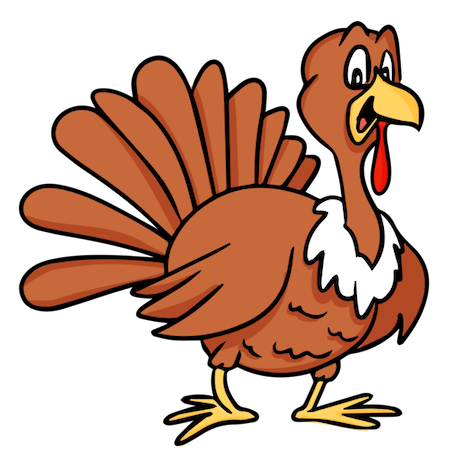 “Albuquerque The Turkey” is great for Thanksgiving…..and might even spur a conversation about Vegetarianism and Tofurkey. Or not. Lol! Enjoy!!! And additionally, here’s my Official Music Video version of my song, Grateful, from my 2013 album Sha Doo Be Doop. Enjoy the videos and I wish you a wonderful week!! Wow! Cool. Thank you!!! I’m a veteran and a Mom. This is a wonderful message as I strive to relate to my 8 year old autistic son. God Bless You and Yours. Have a wonderful Holiday!! Oh wow, thanks so much for writing, Melody. And thank YOU for your service to our country.